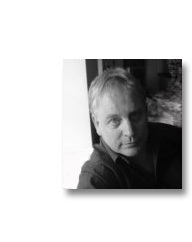 Kevin Cadwallender is a poet, publisher and writer from the North East of England who writes in North Eastern English (‘Pitmatic’). He has rendered Shakespeare into Pitmatic and has translated poems from German, Latin and Turkish. His many publications include 20 poetry pamphlets and six books of poems: The Last Great Northern Whale (1998), Public (2000), Baz Uber Alles (2002), Rewiring Houdini (2006), Colouring-in Guernica (2007) and Dances with Vowels: New and Selected Poems (2009). He has co-edited numerous anthologies, including Smelter (with Cynthia Fuller) and the magazines Hybrid and Sand, and he is currently Scottish commissioning editor for Red Squirrel Press and co-editor of Vair. He was shortlisted for a Sony Award for his BBC Radio 4 poetry documentary ‘Voyages’, and he has made four poetry films, including the acclaimed Angelus Septentrio with director Anton Hecht. A member of ‘The Hardly Boys’ performance poets, whose book Hardly Literature was published in 2009, he also runs ‘Voxbox’ with Anita Govan, a spoken word venue in Edinburgh, where he now lives.